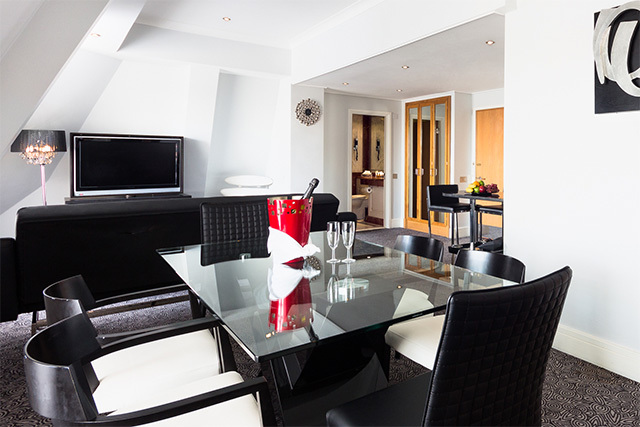 We have several rooms which can be converted into two bedroom suites. 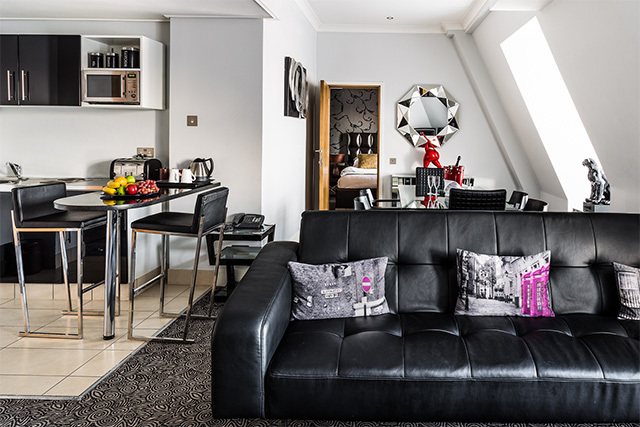 The most impressive being the 7th floor Suite, the Woodrow Wilson, which has the option of one or two bedrooms, with a wonderfully large, completely separate lounge featuring a dining table for six, a comfy & stylish lounge area complete with a small kitchenette and breakfast bar. 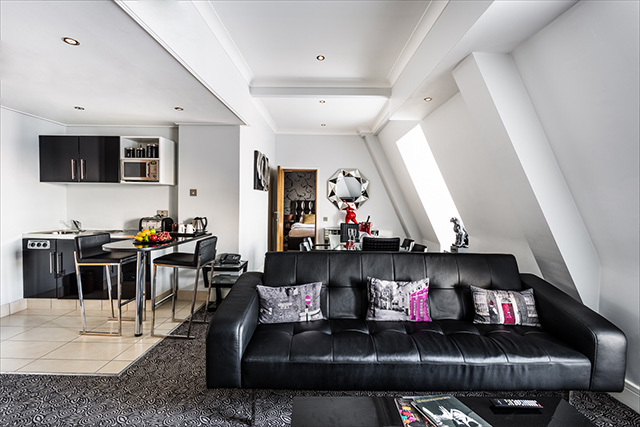 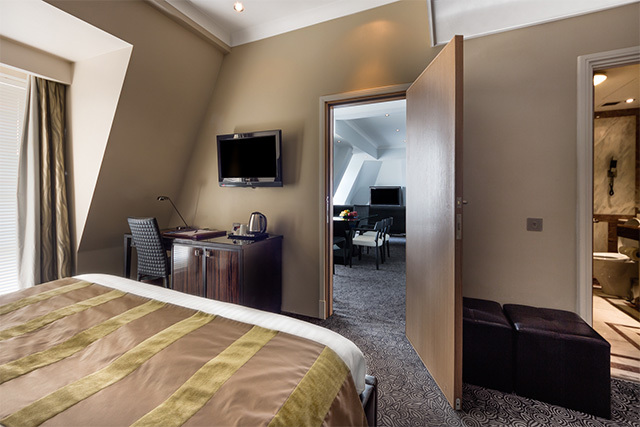 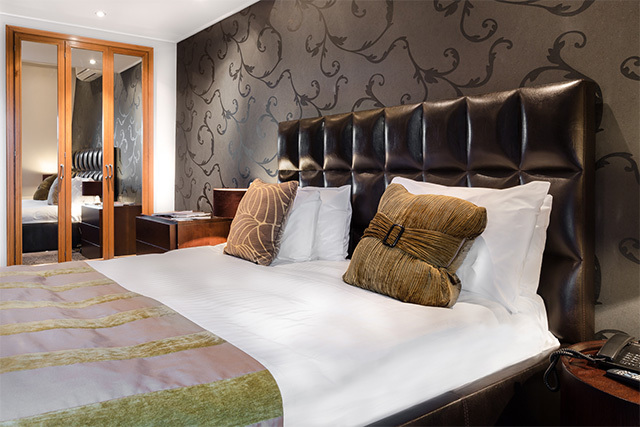 Alternative options for two bedroom suites are available by utilising the Junior Suites connected to a Classic room or an Executive Studio Suite connected to a Deluxe room. 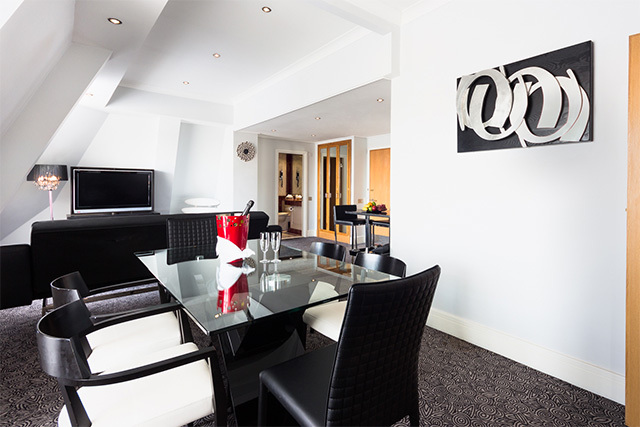 This configuration utilises an outer door which effectively creates a small private entryway into two separate rooms.